It’s a busy week, with Pajama Havdalla for the kids, a basic Hebrew class for adults, and more! Read on to learn about all that’s happening. Rabbi Sparr will have office hours Thursday, Friday, Saturday, and Sunday this week, by appointment. 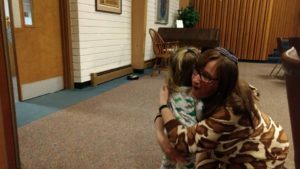 She can always be reached at rabbi@temv.org, or during business hours at 508-736-5555. In an emergency or urgent need, do phone at any hour. We will learn about Havdalla, the beautiful ceremony for ending Shabbat, create a ritual object to bring home for future Havdalla celebrations, hear a story, sing some songs, and enjoy a short (10 minute) Havdalla service together. Everyone (adults included!) is invited to come in their PJs (the rabbi will be in hers)! Please RSVP to events@temv.org.